Good morning! 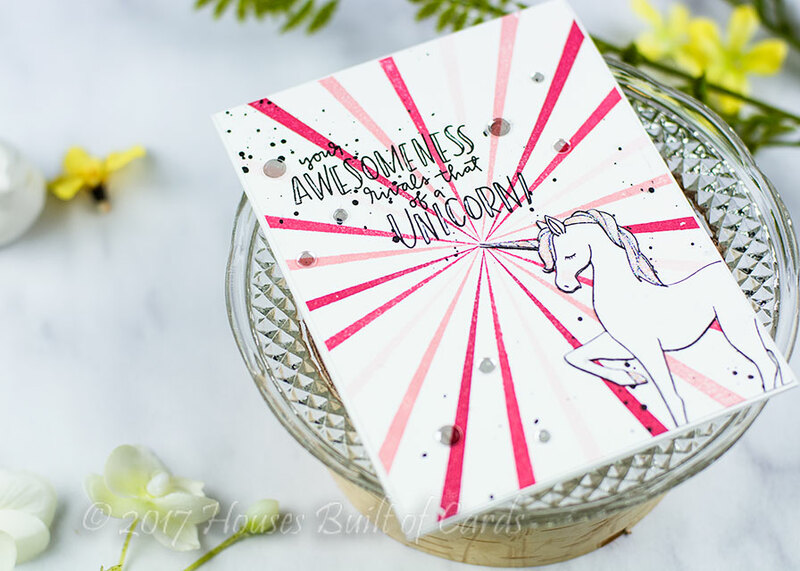 Super excited to be one of this month's guest designers for Concord and 9th's BRAND NEW release - and it is a FABULOUS one! 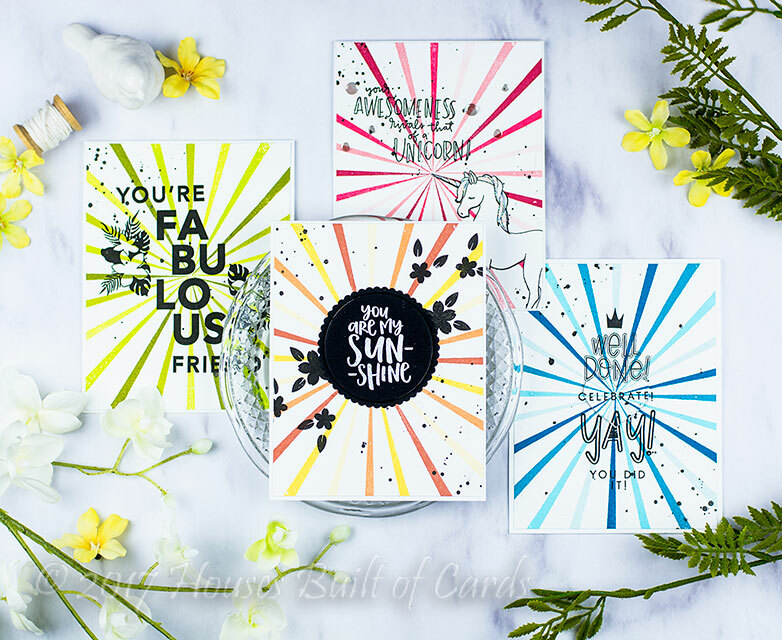 Today we are showcasing the awesome new addition to Concord and 9th's popular Turnabout series of stamps - Sunshine Turnabout. 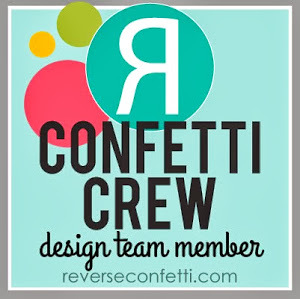 You can check out the other guest designers and their takes on the Concord and 9th blog HERE! 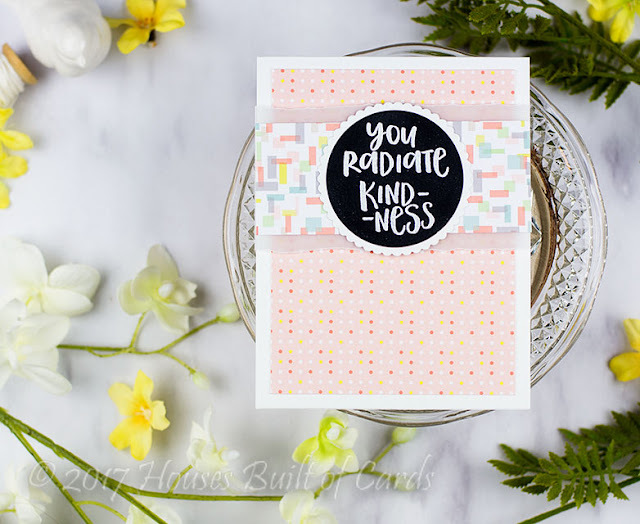 I put together this set of cards featuring that stamp set, as well as several other items to show how well the other items from the new release all work together with it! For each of these cards I used a different set of Altenew inks - this allowed me to create an ombre sunshine since the colors are pre-coordinated together into color families. I used my MISTI to make it easy to quickly stamp all of these backgrounds - which is why I couldn't stop with just one! 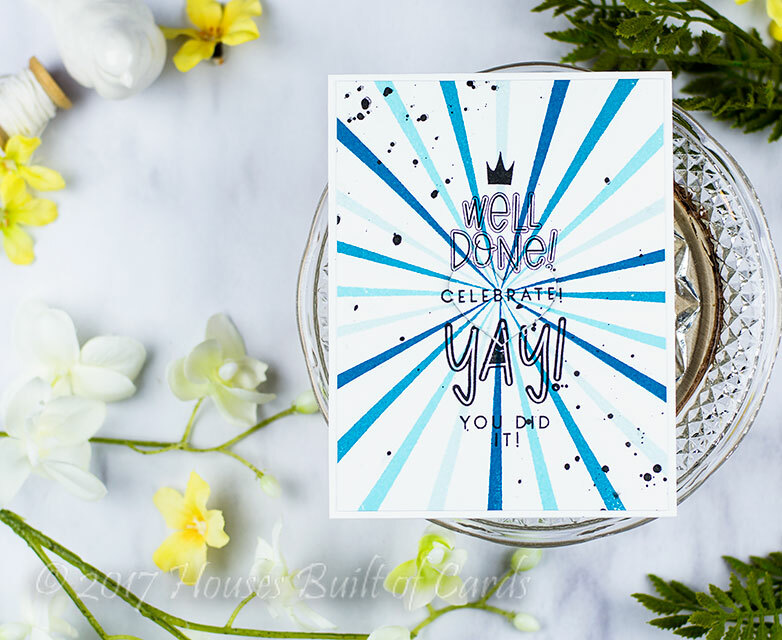 I also added some black ink splatters to each one with some Heidi Swapp Color Shine mists, and trimmed them down to just *slightly* smaller than an A2 card front so that they have a bit of white cardstock peeking around the front of each of them. For this first one, I only used the stamps and dies that are part of the Sunshine Turnabout Bundle. 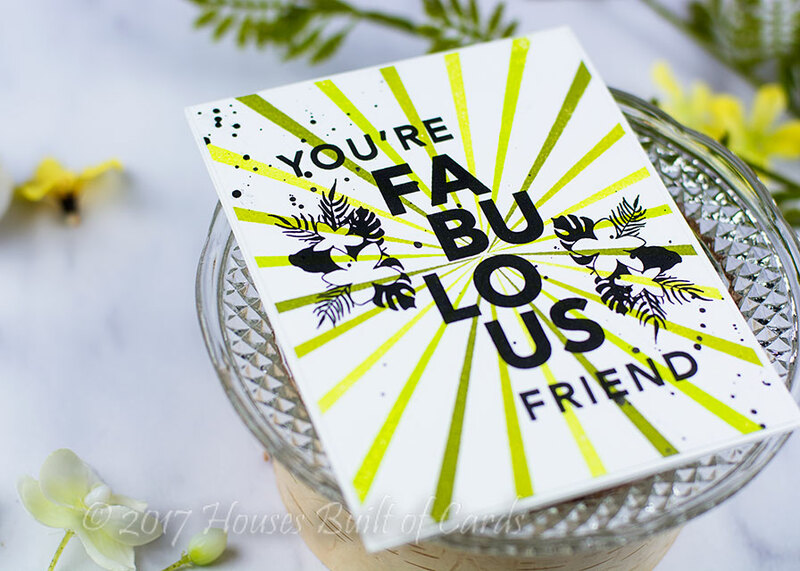 Even those flowers are part of the stamp set! 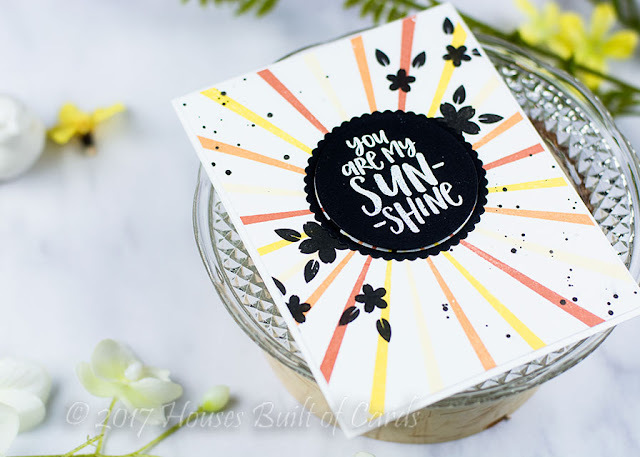 I heat embossed the sentiment on the black circle die cut with Sunshine Dies, stamped the flowers and leaves randomly on the background, then adhered the center of the circle with foam adhesive. 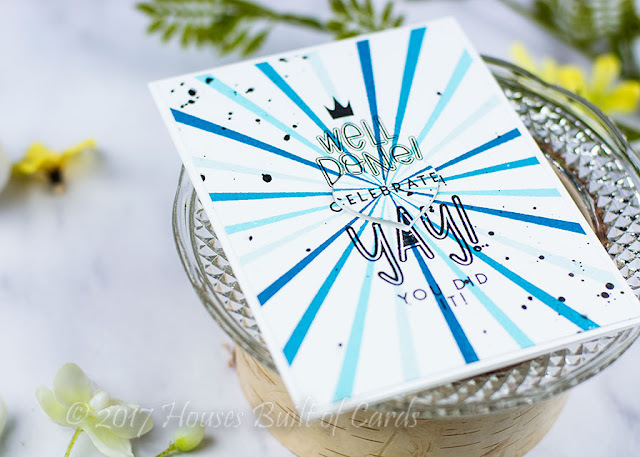 Finished off by adding the scallop circle flat on the cardbase. 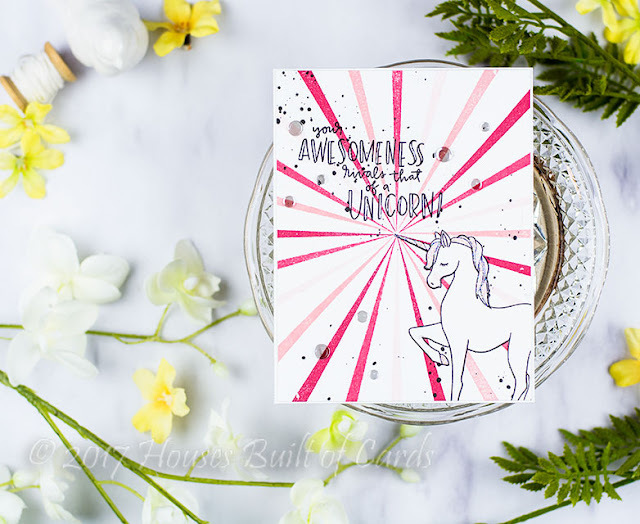 And of course, it is a NO-BRAINER that this stamp set would work fabulously with the brand new Unicorn Awesomeness Stamp Set! For this one, I stamped the sentiment right on the card front, then stamped the unicorn, stamped it again on white cardstock, fussy cut out, and paper pieced it on so it would pop a little more. Added a touch of pink to the main, ears, horn, and feet, then covered them with clear sparkly Stickles. A few flat sequins from Pretty Pink Posh finish it off! And the next one is a nice flat card - but I love the bold sentiment! 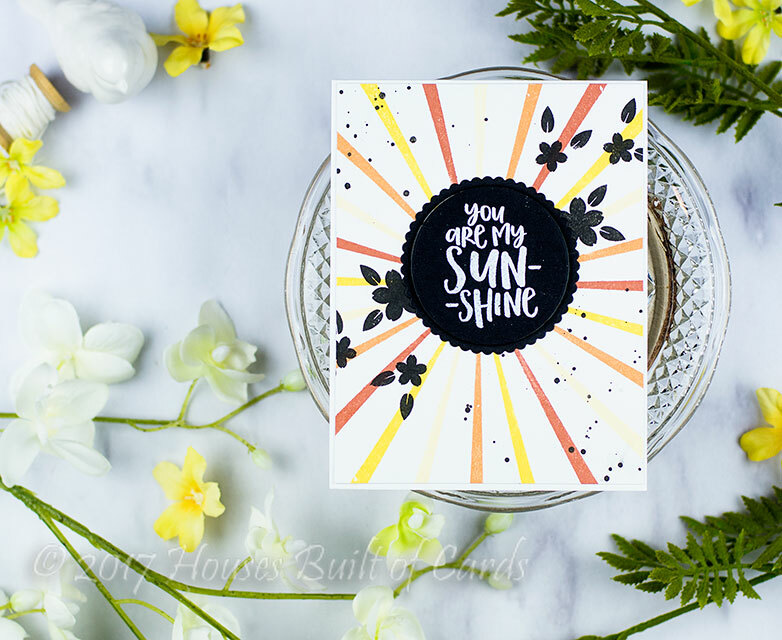 For this one I used the new Aloha Friend Stamp set to stamp a bold black sentiment right over the Sunshine rays. I also added the flowers on the side. 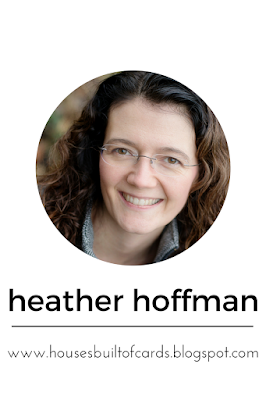 I used my MISTI to stamp it a couple times for a nice deep, dark, crisp impression. 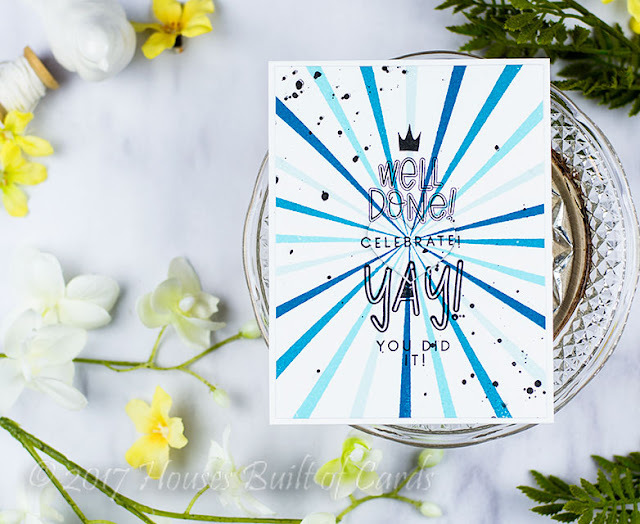 And finally for this set - I stacked a few sentiments from the fun new Hooray Stamp set! To add a bit of dimension, I die cut a little heart using the coordinating Hooray Ribbon Dies and popped it up with foam adhesive. 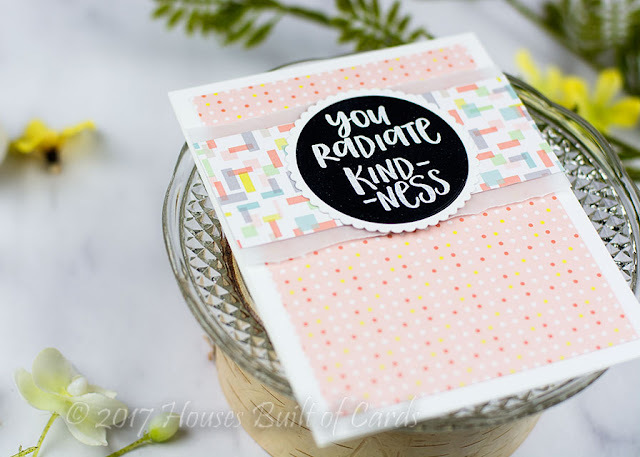 Since it is right in the center of the sunshine rays - it just pops even more! I so love making sets of cards - once you have sort of a plan, it is usually just as easy to make several slightly different cards as it is to make one exactly the same! 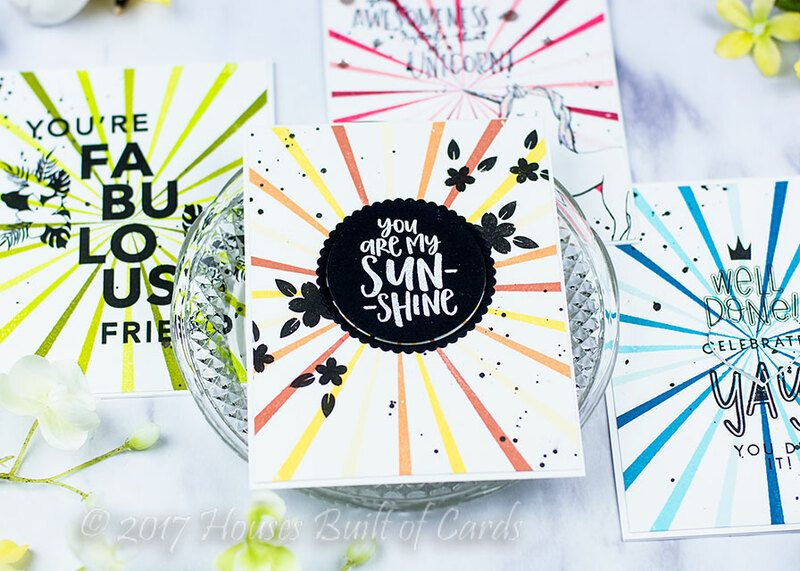 These came together so quickly, and I can't wait to try even more color combinations with the Sunshine Turnabout - definitely a new favorite! 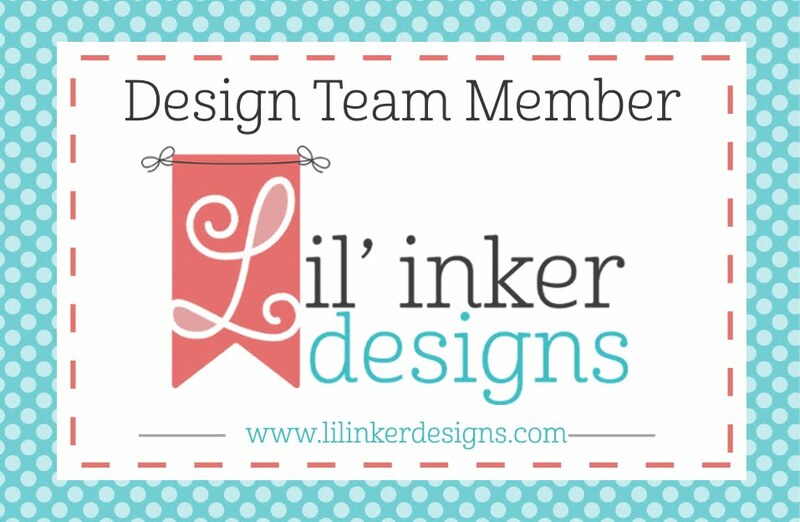 And, just for fun - I have one little bonus card! For this one I used the Sunshine Turnabout Bundle, but just used a sentiment stamp and the coordinating dies with some pretty pattern paper! 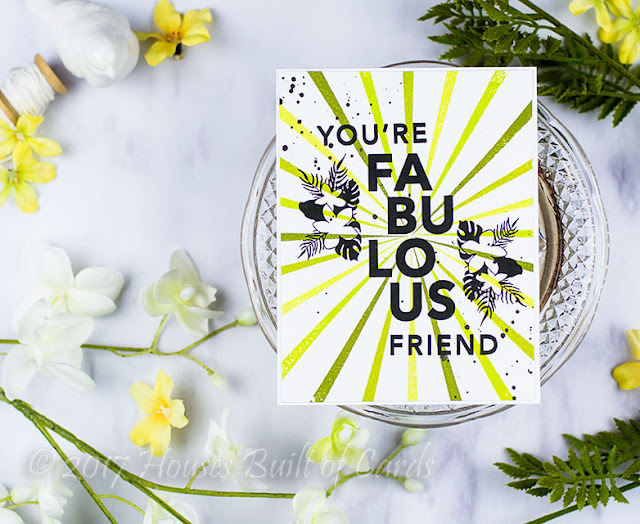 A little vellum with a torn edge, heat embossed sentiment, and some layered pattern paper helped this card come together so quickly and easily as well!